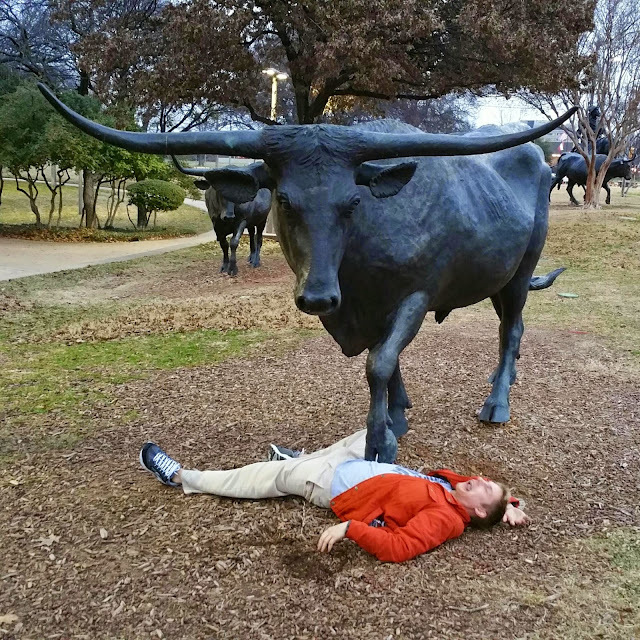 Working Tourists: "Paging Doctor Longhorn! Doctor Longhorn! ... "
"Pedestrian down, Chisholm Trail at the Brazos River; symptoms include badly feigned abdominal pain, missing socks, and Jimmy The Cowboy fever. Backup units recommended." lol, i laughed out loud.